Redeemed Christian Church of God, Pastor Enoch Adeboye, and the Presiding Bishop of the Living Faith World Outreach, Bishop David Oyedepo as fake. The Oluwo, said there was no time he tagged the two renowned clerics as fake pastors. The monarch told Punch that, “What they are saying is not true, I didn’t attack them. 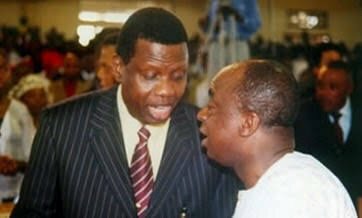 (Adeboye and Oyedepo). I did not say they are not men of God. “I delivered a lecture organised by the City People Magazine and spoke about the functions of Obas in the 21st Century.